In the first scenario, identity thieves file a fake tax return and have the refund deposited into your bank account. The thieves then contact you, often by phone, and — posing as the IRS or debt collectors for the IRS — demand you return the money to the IRS. But following the thieves’ instructions actually sends the money to them. In another version, after you get that erroneous refund, you get an automated call, allegedly from the IRS, threatening you with criminal fraud charges, an arrest warrant, and “blacklisting” of your Social Security number. The caller gives you a case number and a telephone number to call to return the refund. Don’t take the bait. If you or someone you know gets an unexpected tax refund, follow the guidance outlined by the IRS for how to return the funds to the agency. The steps for returning paper checks and direct deposits differ. 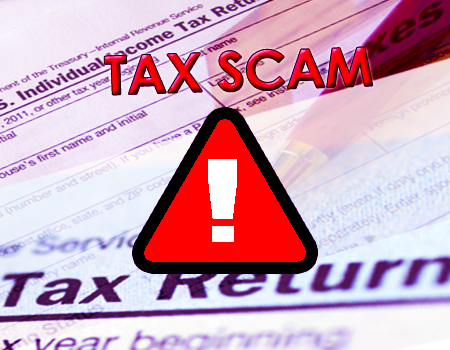 In a different scam, criminals are using imposter tax preparation sites and phone numbers to steal peoples’ personal information. Here's how this scam works: You go online to find a tax preparation service to prepare and e-file your tax return. But instead of landing on a legitimate site, you mis-click to a look-alike site created by scammers. The site looks real, and it’s set up to collect personal information that can be used to commit fraud, including identity theft. File your tax return early in the tax season, if you can. Use a secure internet connection if you file electronically, or mail your tax return directly from the post office. When using an online tax preparation service, look for the tax preparer identification number. The IRS requires all paid tax preparers to have one before filing any returns. To determine if a website is encrypted, look for https at the start of the web address (the “s” is for secure). Some websites use encryption only on the sign-in page, but if any part of your session isn’t encrypted, your entire account could be vulnerable. Look for https on every page you visit, not just when you sign in. Ask tax preparers about their data security policies, and how they protect your information. Respond to all mail from the IRS as soon as possible. If tax identity theft happens to you, visit IdentityTheft.gov to report it to the FTC, file an Identity Theft Affidavit with the IRS electronically, and get a personal recovery plan.